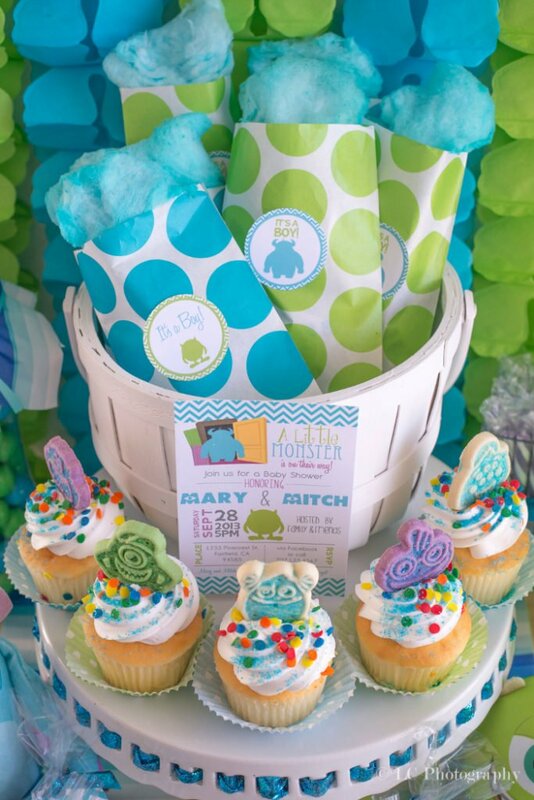 Don’t assume custom invitations will have a scary price-tag either. 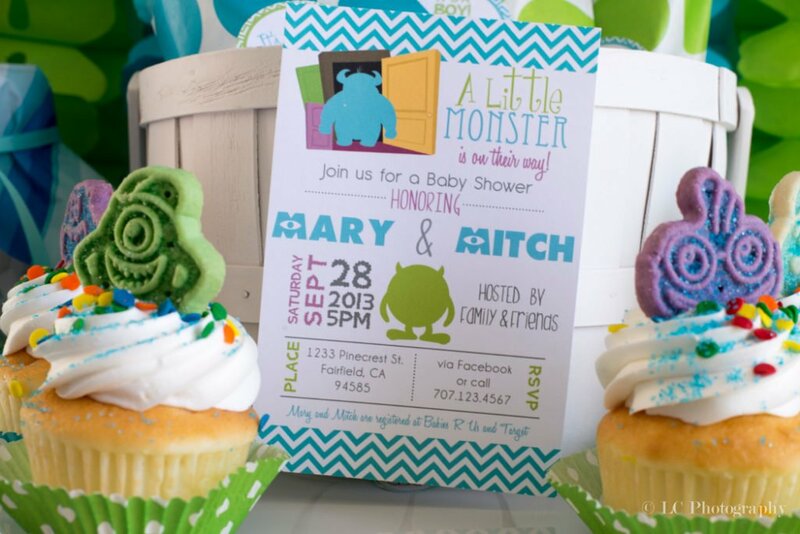 These adorable invites from Puzzle Prints, for instance, can be personalized for you and then printed either at home or at a local print shop! Affordable, I think so! 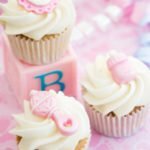 Planning and making your monster menu can be fun! 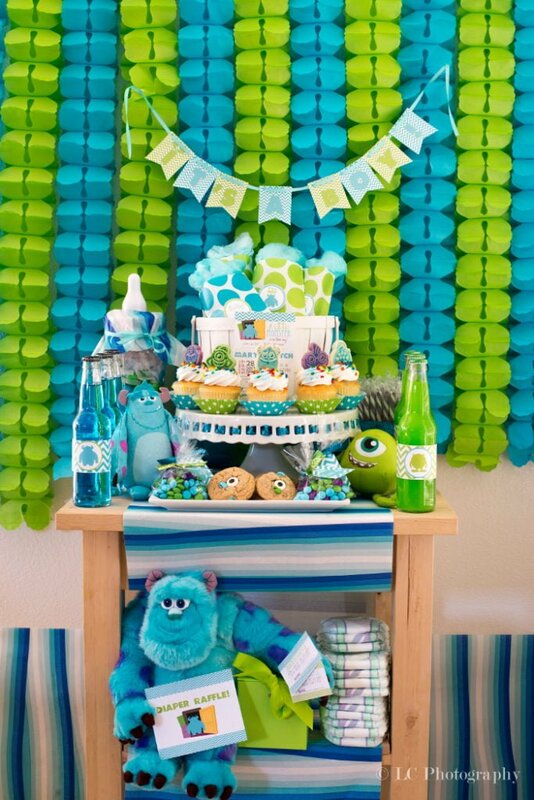 Here are some Monsters Inc. snacks you won’t want to skip! “Draw a Door” – In this game, guests are given 10-15 minutes to each design a door out of construction paper, markers, glitter, rhinestones, and whatever else you want to provide. Doors are anonymously judged by Mama-to-be. Her favorite wins! 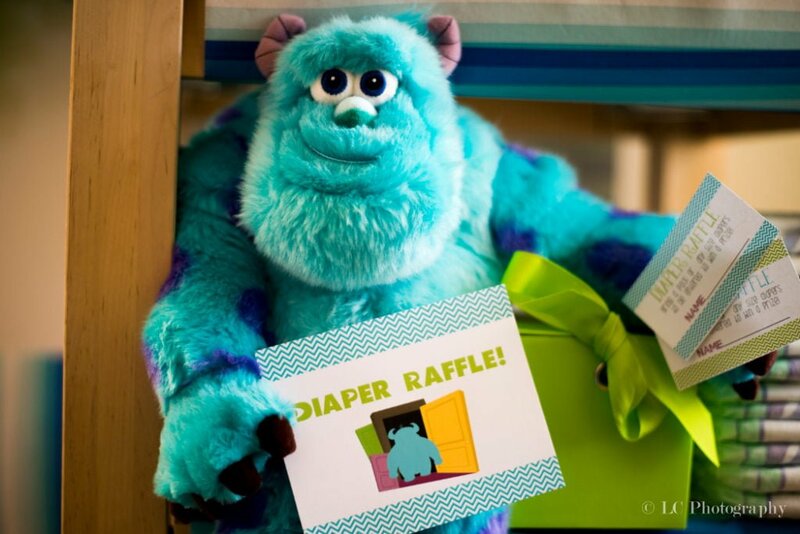 “2319!” – Print out 3-4 copies of our Monster Inc. Game PDF and cut out each sock. 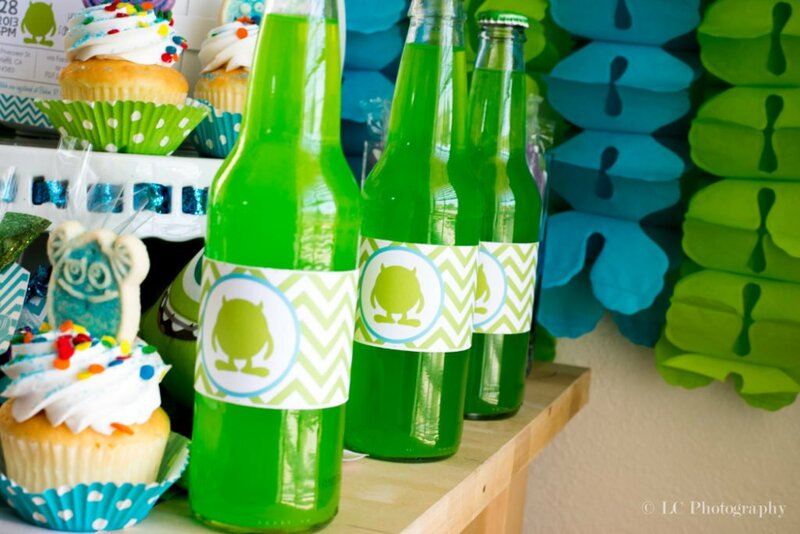 Then tape them randomly throughout the room, don’t make them super easy to find! 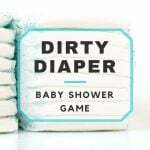 Tell guests as they arrive that there are socks hidden around the room. If they find one, they must yell “2319!” to collect their sock. The person with the most socks at the end of the shower, wins! 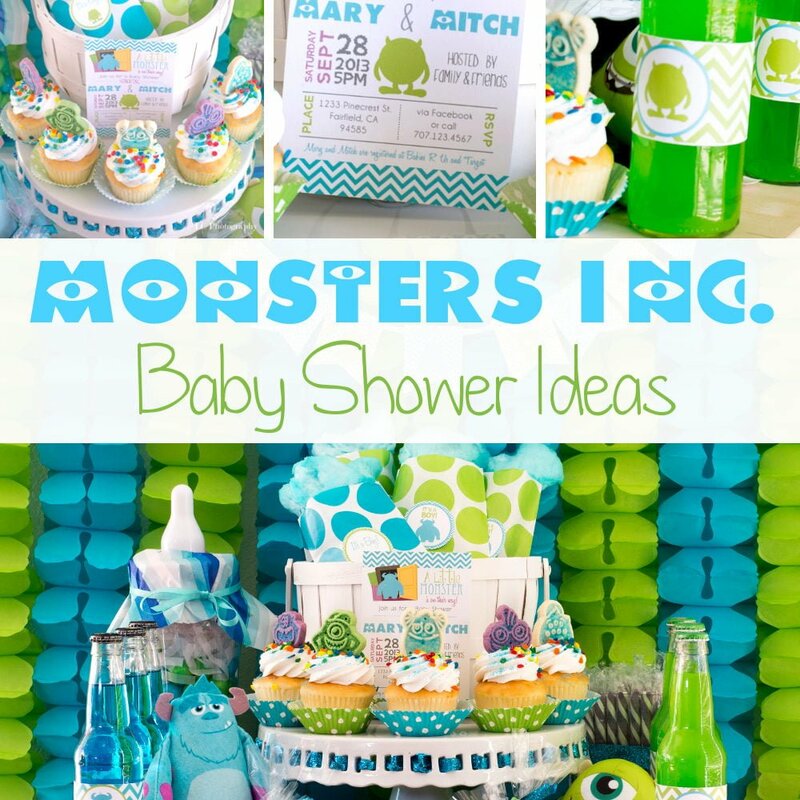 You can also purchase custom Monsters Inc. baby shower games here! 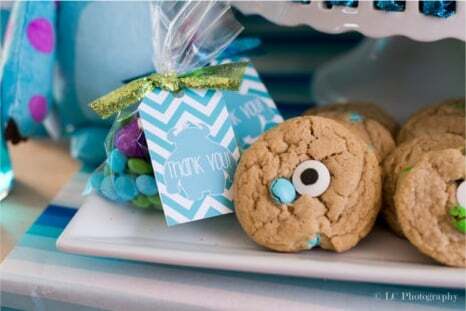 Handing out baby shower favors is a great way of saying ‘Thank you’ for attending and participating at your shower! And yes, even monsters understand this common courtesy. All pictures are courtesy of our friends at Puzzle Prints!